Before you invest a lot of time in this book… there are a few things you should know about me, and my family. We burp in the car -- it's our "safe place." Better out than in, I always say. Our opinion is that marshmallows are sweet sticky cylinders of goodness. I like to put on my tiara when I clean. That way while I’m grumbling about what a hot mess it is, I can remember that even Cinderella had to clean up after people, and she was a princess. 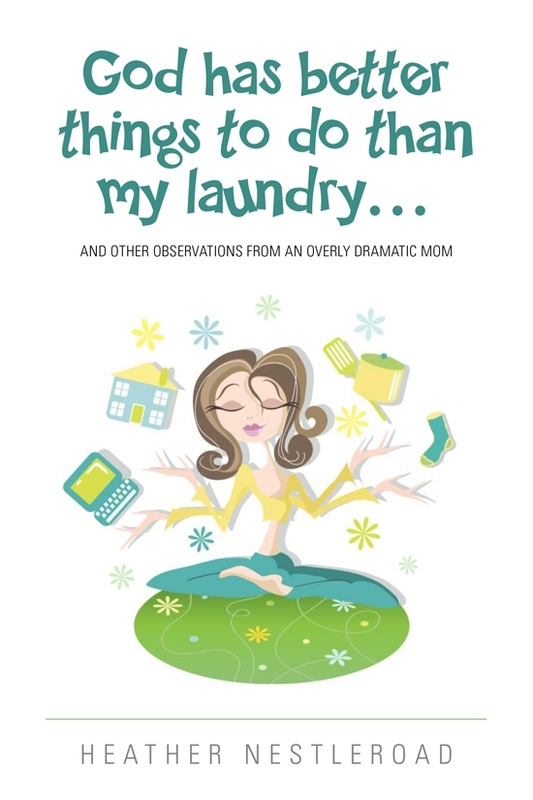 If you've ever tackled a mound of laundry taller than you, made reservations instead of dinner, turned to prayer to deal with your teenage daughters, and accidentally wet yourself laughing at your best friend, then you'll like God Doesn't Have Time for My Laundry (and Other Observations From an Overly Dramatic Mom). Heather Nestleroad gathers all of her blog posts from the last few years into a comprehensive book that can be enjoyed by parents, chocolate lovers, and coffee drinkers of all types. God Doesn't Have Time to do My Laundry (and Other Observations by an Overly Dramatic Mom) relates how Heather learned to like and order coffee, explores her questions about the purpose of our lives, bares her neurotic confessions, and details conversations you'll swear you just had with someone in your family. Heather Nestleroad was born in a small Midwestern town to parents who loved each other, until they didn't anymore. She then spent the rest of her childhood watching family shows and dreaming of one day having a family just like on TV. After getting married and having children, one day she discovered she did have a family like that, only funnier. 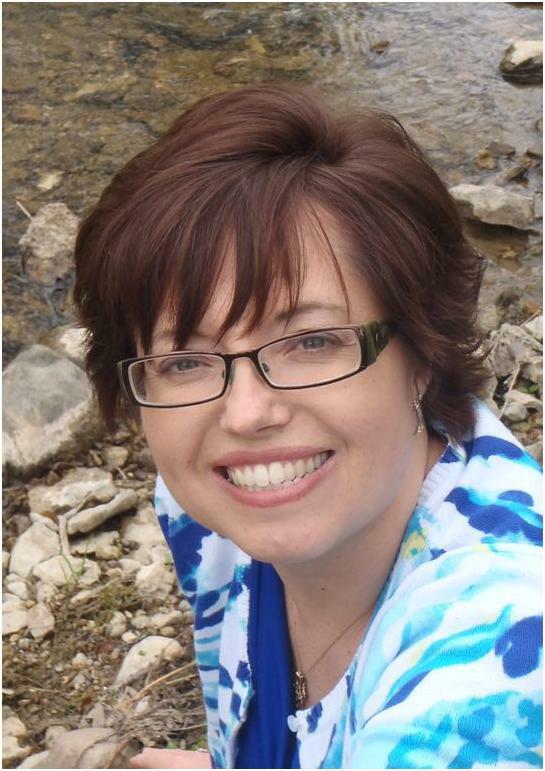 Heather now lives in yet another small Midwestern town with her husband, three children, and two cats. When she isn't writing, she is working with kindergarteners, going to Bible study, driving her children around, searching for the best place to have lunch, and looking for ways to get out of cooking dinner. Her blog is NestledinSuburbia.com (of course, you knew that already). And you can find her on Facebook or add her book on Goodreads today. When I was pregnant with my first child, I used to drink milk and root beer out of the containers and swish them around together in my mouth. That way I could have a root beer float at any time during the day. I’m not actually allowed to do that anymore. Those were good times. I love to throw a kid party. However, I secretly believe that the mom is the one who should get the party instead of the kid. After all, we are the ones who carried them for 9 months, gave birth to them, changed their diapers, fed them, clothed them, and did all the work. They … showed up crying and have complained ever since. Vaughn: Did you set the alarm? Me: No, why? I don’t have school in the morning. Vaughn: So you are not getting up with the kids? Me: I don’t need an alarm to get up with the kids. Even if you get up, the kids always come in and make sure I know they’re up, thereby waking me up and ruining my sleep pattern. Vaughn: Didn’t you say you aren’t sleeping well anyway? Me: Well sure, but I like deciding when I’m done. It’s kind of like when you use public toilets that flush by themselves. Vaughn: You don’t like public toilets? Me: Well, no. Sometimes you are just doing your business and the thing flushes on its own. I always think “How do you know I’m done? I’ll let you know when I’m done.” What kind of technology is that, anyway? Is it a motion detector? Is it Pee Pee Technology? Vaughn: You are considerably faster when using a public restroom than you are at home. Me: That’s because half the time at home, I’m just hiding. Vaughn: OK, can we go to sleep now? Me: Sure, knock yourself out. I used to pray for patience. I now know that if you pray for patience, God just gives you opportunities to be patient. Kid 1: Can you do my hair? Me: Um, no, I’m busy at the moment. Kid 3: The girls won’t play with me! Me: Can I do something about that later? Kid 2: Man, grouch. I was just asking when we are going to eat. Me: When you learn to cook. Me: My taxes. Go away! It’s your fault. It doesn’t matter what the situation, and doesn’t even matter if you were there, it is your fault. If something is missing, you hid it from sight to spite them. It is your job to find it. Laundry miraculously gets washed, dried, folded, and put away. You have nothing to do with it; therefore, why should they thank you? Also, if it’s not done, it’s your fault. You will need to remember everything you have ever learned in school. You are not allowed to have forgotten anything. If you forget how to do something, you are considered stupid. You will either have to get up before everyone else to get a hot shower, or wait at least an hour after everyone is gone for the water to replenish to a temperature above Arctic Ocean. My friend has two daughters. Neither of which are yet into the teenage stage. While I love her dearly, if she had teenagers herself, she’d understand that perhaps I may need to learn to drink. And as to whatever an orange mint julep is, it may not be enough to get me through this stage of life. But I am willing to give it a try at this point. My girls got the scared, “Please don’t cry, why don’t you listen, what can I do, I’m messing this up” mommy. My son got the relaxed “I’m old, you’ll live if you fall down, sure, spill something on the floor, it needs to be cleaned anyway, if you want to eat Cheerios from the floor, the ten second rule applies here, go ahead, stick the binky in diet soda to clean it off and give it back” mommy. Boy: Is Shamu a boy or a girl? Me: I don’t know, but I think Shamu must be a girl, because did you see all the water that whale was retaining? That thing looked like I feel a week out of every month. Boy: But mom, I thought Shamu was a boy? Me: Well, that explains why he gets such great service, and why no one ever mentions that he needs to lose weight. And the house stays clean every day. And you can relax and read books all day.